Legacy Project has been sharing our local queer stories with heart on stage since 2014. In 2019, the results of our sixth development cycle will be unveiled in LEGACY SIX. 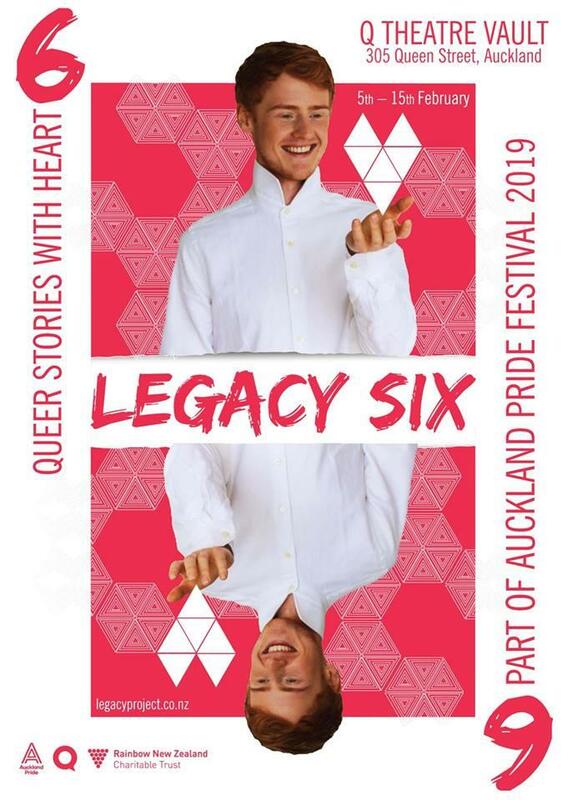 LEGACY SIX brings together a selection of provoking tales of love and family, of identity and dating, of connection and dance that showcase the up-and-coming voices from within our wonderful queer community. Each year Legacy Project carefully curates and develops six scripts from our open call submissions to create a collection of unique stories that speaks to the personal experiences from all corners of our queer community. In LEGACY SIX we tell our own stories, our way. BETWEEN FATHERS AND THEIR SONS. Written by Daniel Ly, directed by Lucy Noonan. "Because you are boy I never worried…"
CRACKS. Written by Todd Waters, directed by Catherine Yates. A return to where everything began might be the beginning of the end. THE GREY. Written by Ashleigh Ogden, directed by Joanna Craig. How are we defined by our sexualities? FOR PASTOR JAMES OF LOWELL CHRISTIAN CAMP, THE GIFT OF MOVEMENT. Written by Phillip Good, directed by Will Moffatt. Christian boys don’t talk about taboo subjects. They dance around them. SUPERNOVA. Written by Joshua Iosefo, directed by Dan Goodwin. A PERFECTLY NORMAL WEDDING. Written by Kieran Craft, directed by Patrick Graham. We can't choose our relatives, but we can choose our family.